Beware of this rip off mutant! I am making inquiry if you sell and ship international, specifically to our location here in New Zealand and also do you accept card payment?..In addition, I will appreciate if you return to me by email with your price list. I had a look on your website already and you have a very good collection on there. 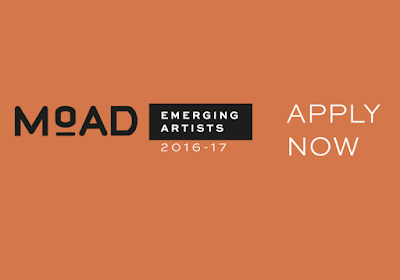 The EAP is a call for artists to submit a solo exhibition proposal of their work. Competitive proposals will present innovative artwork to activate the salon space. This multipurpose space is the heart of the museum where they hold public programs, education workshops, and events. Four final artists will be selected. Each artist will have a 2 month solo show as part of the Emerging Artists Program to display their work in a solo exhibition. We will hold two information sessions to review the application process and to answer any questions. These sessions will be held on June 1st and June 29th at 6pm in the MoAD salon and include a gallery tour. Selected artists will be notified on August 31, 2016, after which artists will then work with the exhibitions team at the museum and have 2 months to finalize and prepare work.